The RF induction heating power supply generates a magnetic field around the workpiece by sending an alternating current through the induction coil. After the workpiece is placed in the coil, magnetic field induces eddy currents in it, generating precise amounts of clean, localized heat without any physical contact between the coil and workpiece. Thus heating the source for various applications. 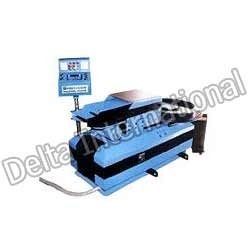 Looking for Induction Heating Machine ?